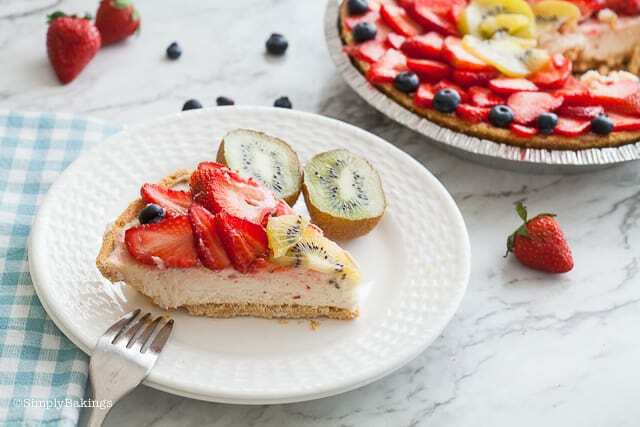 This smooth and creamy Vegan Fruit Cheesecake is the perfect addition to any potluck or last minute get together. It’s delicious and tastes just like the real cheesecake. I used to bake a similar cheesecake cake all. the. time. My sister and I were avid bakers in our late teens and at that time we were into vegan baking. 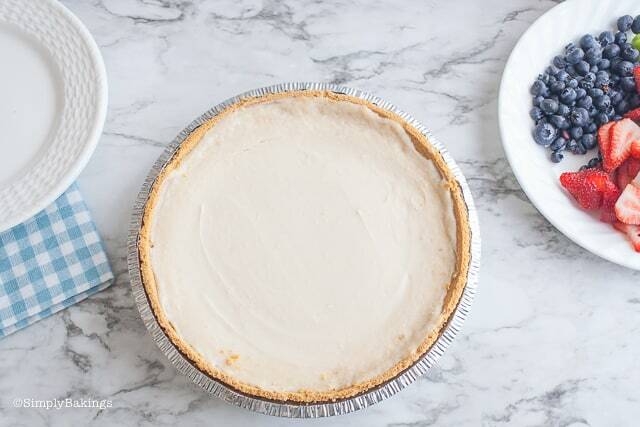 She made this delicious vegan cheesecake using siliken tofu and it was delicious! Maybe someday in the future, I’ll invite her over to share the recipe. 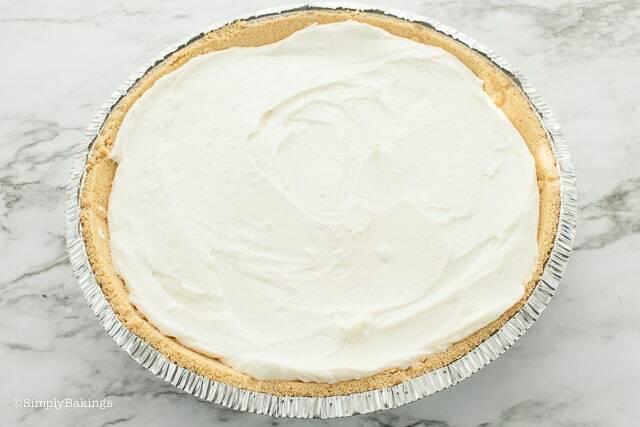 For now, enjoy this delicious cheesecake using vegan cream cheese as the base layer. Are you having a party? 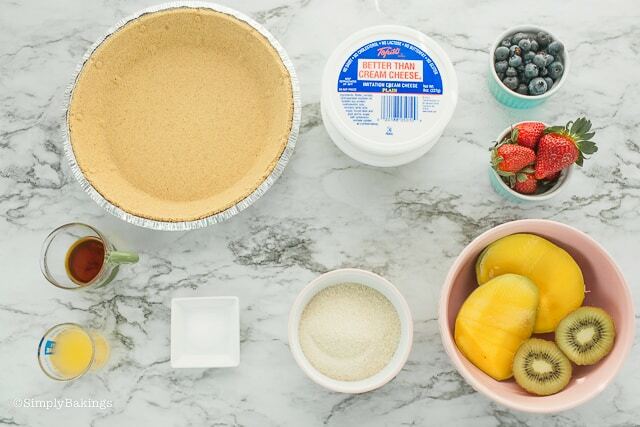 Make this recipe into vegan fruit cheesecake bites! Keep your fruit toppings looking fresh! Before arranging them on top of the cheesecake, soak them in lemon juice for a few minutes. The lemon’s acidity will maintain its vibrant color, thus not making it brownish after a few hours. 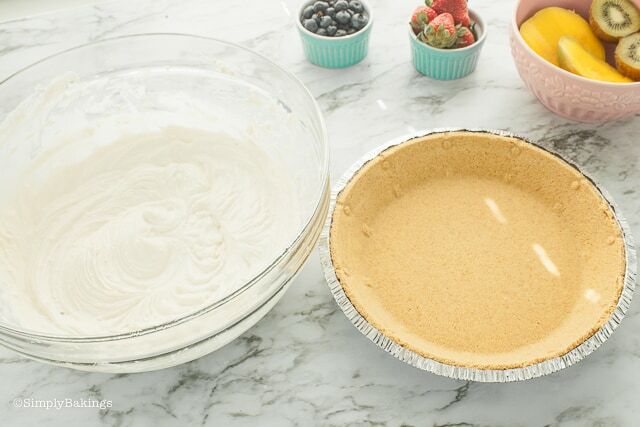 Before starting, don’t forget to preheat oven to 350 degrees F and prepare the ingredients ahead. It saves you a lot of time to lay them all out, plus, you know you are not missing an ingredient. 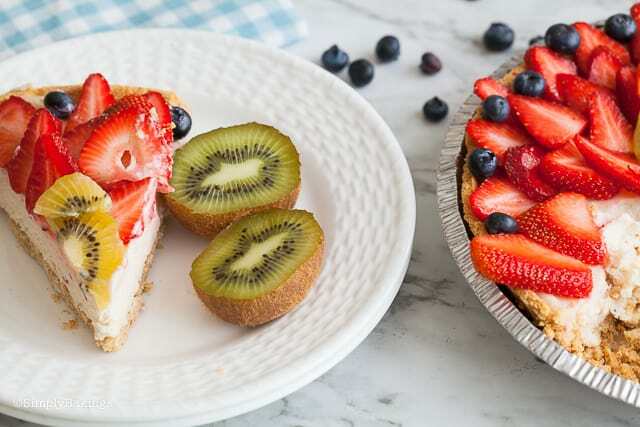 Here are the ingredients you will need: ready-made Graham Crust, vegan cream cheese, organic cane sugar, fresh lemon juice, vanilla extract, salt, assorted Fruits (sliced strawberries, blueberries, kiwi, and mango. 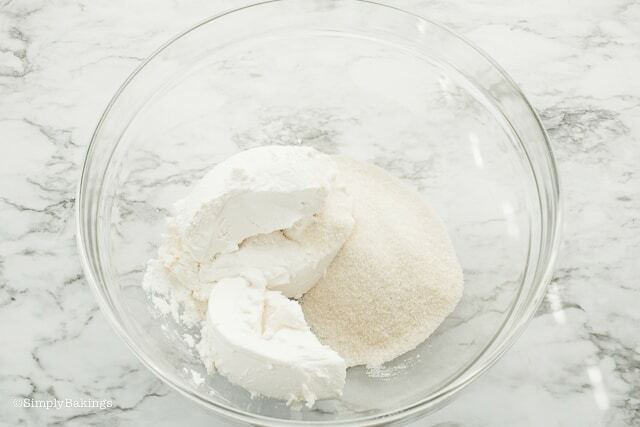 Add the cream cheese mixture into the prepared graham crust and bake for 30 minutes. Allow to cook for about 20 minutes, then place in the fridge for about 3-4 hours or best overnight. 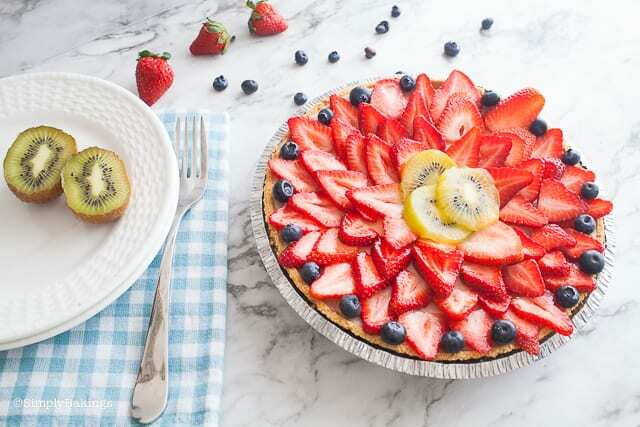 Once the tart has set, add assorted fruit and decorate. Isn’t that a pretty Vegan Fruit Cheesecake?!? True enough, I never wanted to slice it. But I did. Well, I couldn’t stop myself, it tasted very good! Take a slice and indulge! 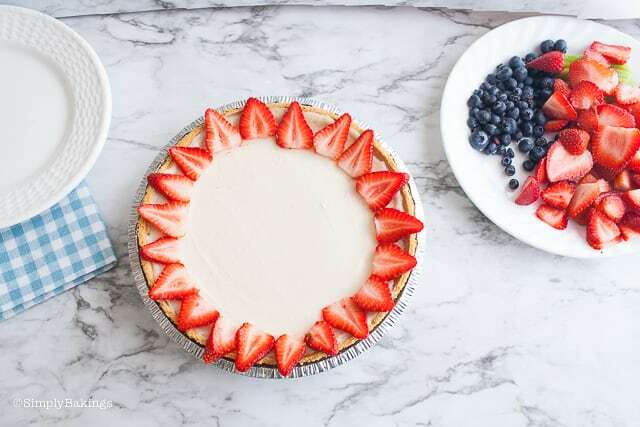 This best Vegan Fruit Cheesecake is a perfect summer potluck dessert. 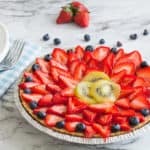 The vibrant colors of the fresh fruits scream summer and one big bonus is when you make this, everyone would say you are a dessert pro! Q: Can I do this a few days ahead? A: Yes, sure you can. 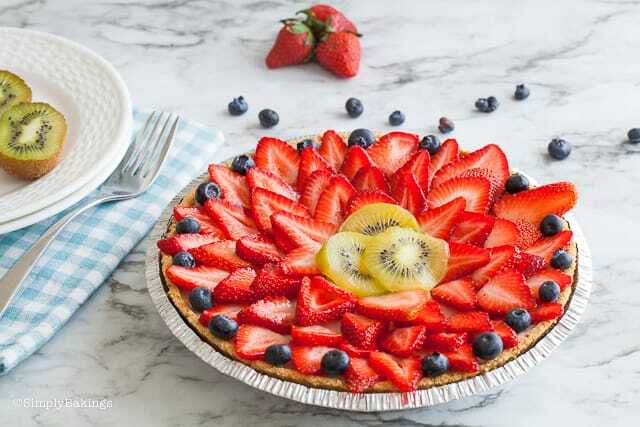 You can opt to decorate it ahead or decorate it with fresh fruits just before serving. Q: How many servings would this recipe have? A: You can have six to eight regular slices of vegan fruit cheesecake. Q: Will the cheesecake melt in room temperature? A: Yes. This vegan fruit cheesecake should be chilled and taken out from the fridge just a few minutes before serving. The cheesecake could hold up its shape for about 20-30 minutes of exposure to room temperature. 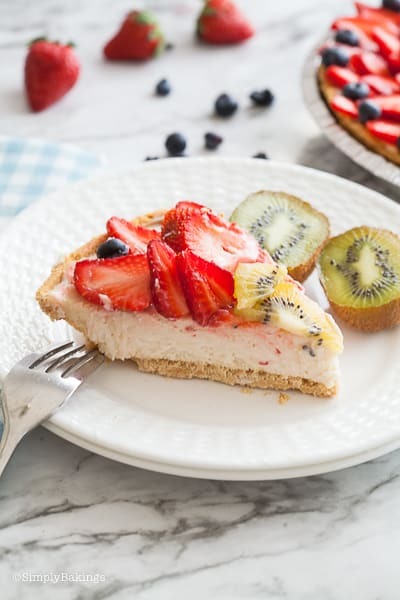 Delicious Vegan Fruit Cheesecake that is refreshing to eat during hot summers. 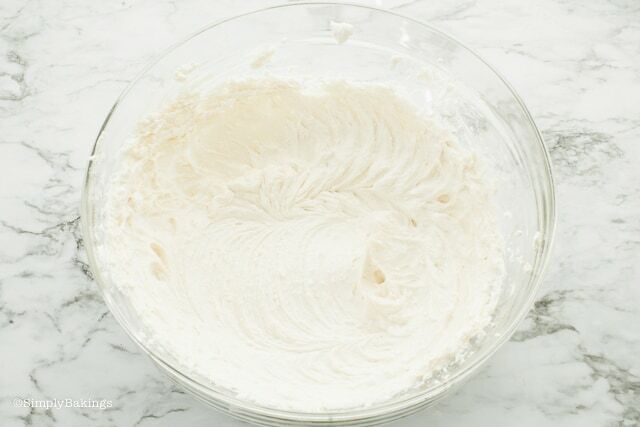 In a large bowl, add the cream cheese, sugar and beat until light and fluffy. 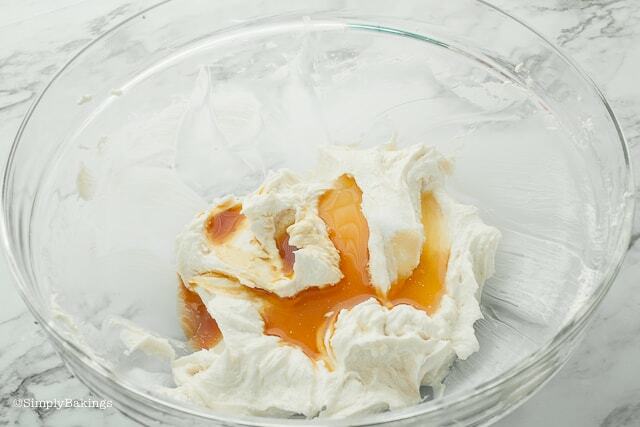 Then add lemon juice, vanilla extract, salt and continue mixing until well combined.